Kyle took a deep breath, like he had picked up on the question I hadn’t asked. That was one of the differences between him and Jason: Kyle always gave just as much weight and consideration to the things I didn’t say as to the things I did. 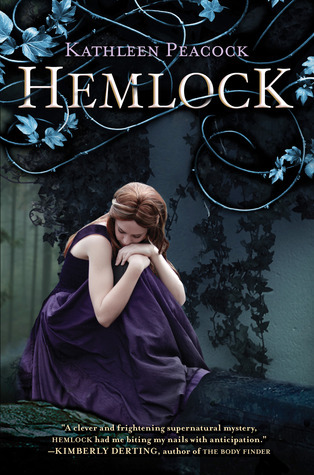 When I first saw Hemlock on the list of 2012 Debut Authors I instantly fell in love with the cover. I then saw it was about werewolves and hesitated as this isn’t really a topic that greatly interests me. The cover love won out and I selected it as one of the 12 debut author novels I would read for the 2012 challenge, and how glad am I! Set in the small town of Hemlock just 5 months after the death of her best friend, Mackenzie is still grieving and feeling haunted by Amy’s vicious death by a white werewolf. When the Trackers – an extreme anti werewolf task force come to town by police invitation Mac soon gets caught up in a web of intimidation, lies and politics. Between working out who Amy’s killer is, trying to keep Amy’s boyfriend and her friend Jason from self destruction and struggling with her feelings for Kyle her best friend, this book is jam packed with action, suspense and relationships. 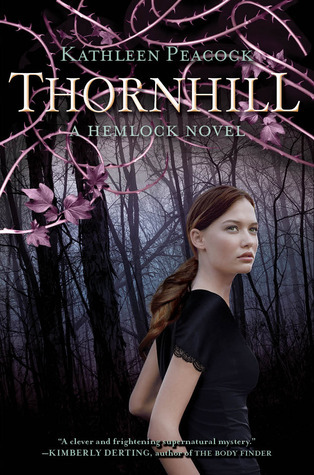 This was a wonderful mystery/thriller that had a dose of paranormal mixed in to create a fantastic book concoction! The whole premise that the government had to admit that werewolves existed as the spread of LS (Lupine Syndrome) was just too much to keep under wraps, and the idea that anyone infected is sent away to special camps felt realistic and I wanted to find out more. Add in the Trackers a group of fanatical werewolf haters who are well known to go outside the boundaries of the law to destroy those hiding their infection and you have a world fraught with change and fear. The town of Hemlock gave the appearance of a small sleepy American town which was given the spotlight after a rash of werewolf attacks, the last of which happened to Amy, Mackenzie’s best friend. I really loved the main character Mackenzie. She had so much heart, even after having such a rough start in life. You find out that Mackenzie has witnessed and experienced some pretty gruesome things in her past, especially relating to the Trackers and I love that this book doesn’t shy away from the brutal reality of things. She has a great sense of loyalty to her friends and to Tess her guardian which is displayed through virtually all her actions within this book. I really enjoyed the love triangle in this novel. Both the boys sound a bit boring at first glance – Jason, the bad boy and Kyle the perfect best friend. When you get below the surface both of them are wonderfully crafted, flawed but beautiful individuals. I especially loved the character of Jason, he’s so clearly messed up and just needs someone to help him make it all better. I love how he grows and develops through the story and the inner strength he shows towards the end when all his beliefs are turned upside down. The actual plot in this story is also fantastic and I could barely put this book down I was really keen to find out what would happen next. I did have a pretty good idea where things would eventuate by about two thirds through but that didn’t lessen my enjoyment of the story. I’m also looking forward to finding out more about the underground werewolf community in the sequel. I strongly urge you to consider picking this book up if you like a good paranormal mystery! – Great mystery and fabulous characters. 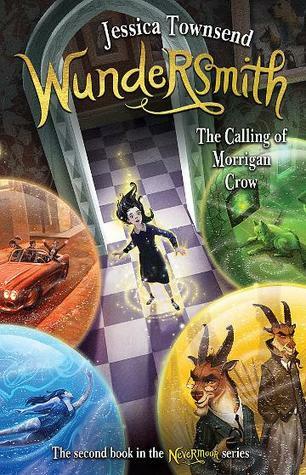 I’m still on the fence over this one even though the cover is amazing! But looks like it’s worth a shot after reading your review. And if the love triangle is great, I need to find out how! Great review.